By mid-May our satellite tagged shorebirds are now settled in various stop-over sites, fuelling up and getting ready for their next move. All our Whimbrels are now at inland sites in northern China. 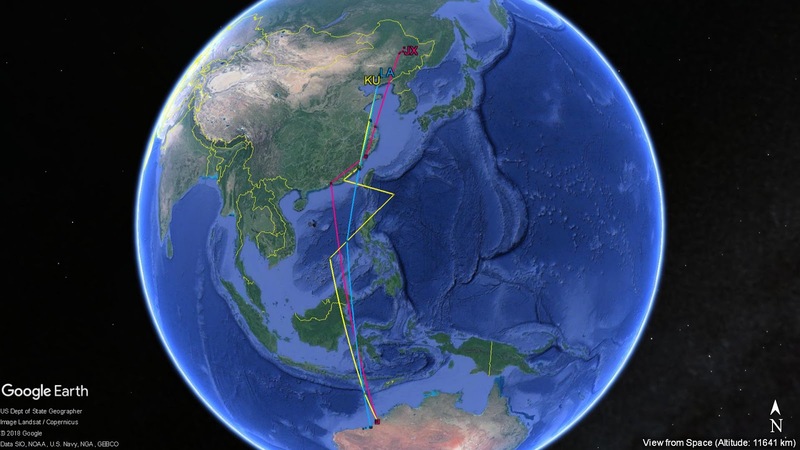 JX was the first bird to reach northern China on 11-May-18 after spending 2 weeks at 3 sites in southern China. 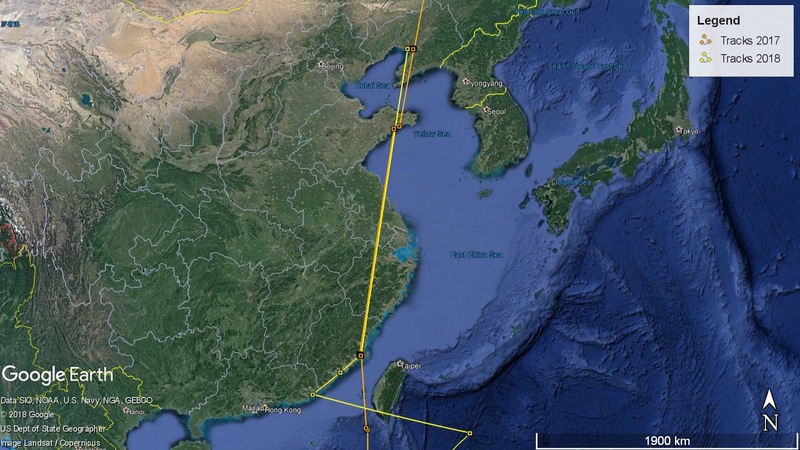 It has surprisingly skipped the northern Yellow Sea area and flew >1,500km directly from Jiangsu Province to Heilongjiang Province. After arriving in Heilongjiang Province, JX first headed to a site in Songhua River just 40km east of Harbin city. It then moved to another site further north near Qing’an on 13-May-18 and has been staying there since then. 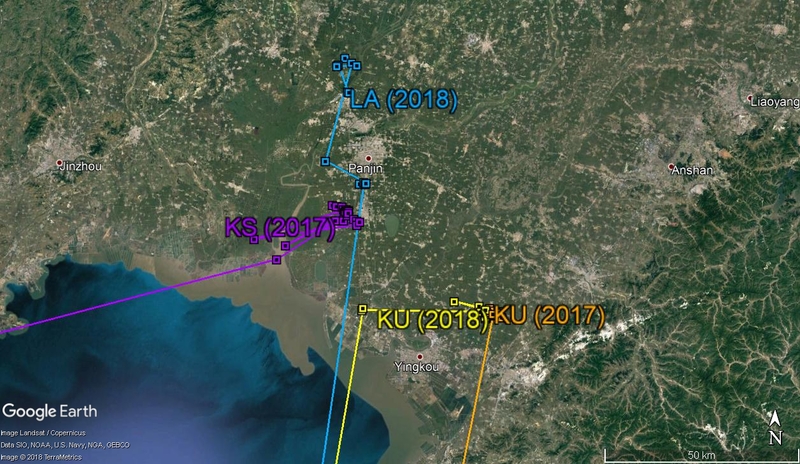 Fig 2: KU’s northward migration track in 2017 and 2018. 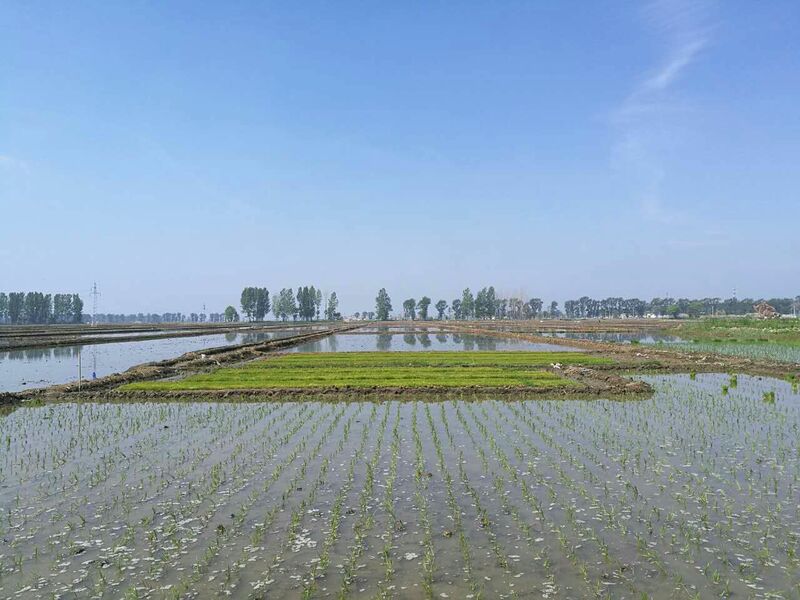 The rice field area around Panjin, Liaoning Province seems to be a popular site for our Whimbrels. 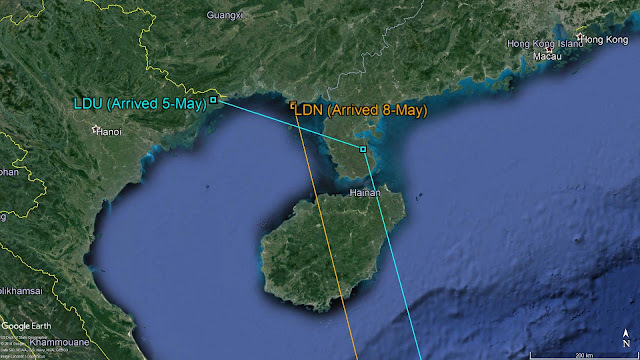 On 13-May-18, after staying in Jiangsu Province for a week, LA also made a migration to Panjin! Last season, this area was used by both Whimbrels which migrated to the breeding ground (KU and KS). As per last year's record, the Whimbrels are expected to cross the China-Russia boundary in the coming week! Compared to the Whimbrels, our Grey-tailed Tattlers are still far from the breeding ground. Over the past week, LDN and LDU remained at their stop-over sites in Southern China and North Vietnam. Both areas are estuarine intertidal mudflat. 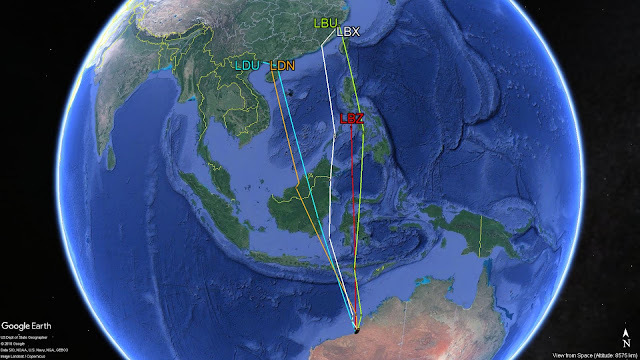 Unfortunately, the transmitter on LBZ has ceased on 4-May-18, 3 days after it arrived in the Philippines. 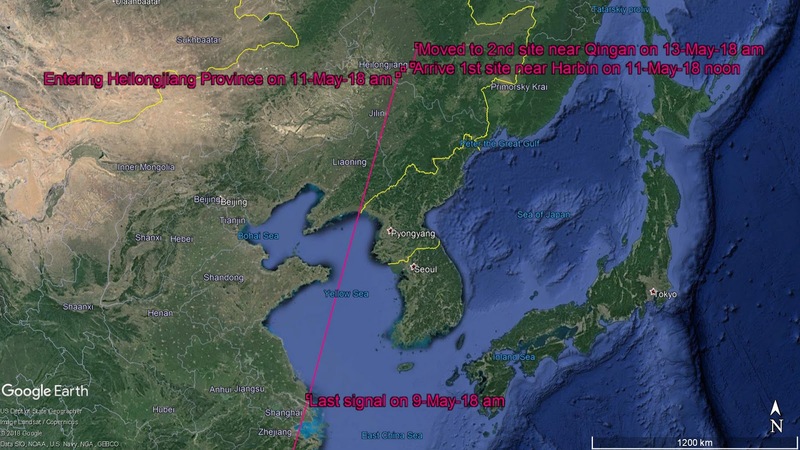 The other 2 Tattlers which stop-over in the Philippines departed a week ago and arrived in Southern China on 15-May-18. 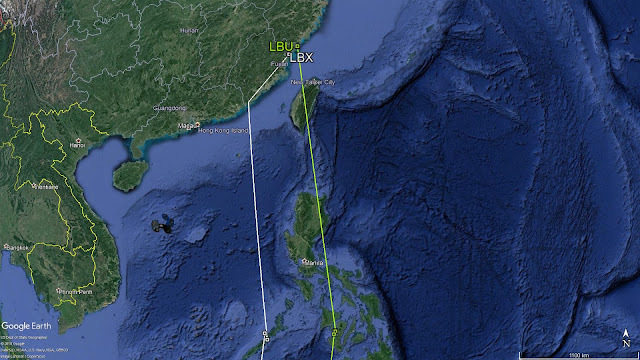 LBU and LBX both stayed in the Philippines for 7 days and made a move on 12-May-18. They arrived in Zhejiang and Fujian Province respectively, both using coastal mudflat.